The arts are an important part of a child’s education. In addition to higher SAT scores, the arts provide practical skills children will need for the rest of their lives. Words are important, but not all things can be communicated through words. Take a look at your home. Can we tell something about you from the way it’s decorated? What about your hairstyle, makeup, or clothing? Are they not expressions of yourself? Have you ever been so upset, angry, or sad that you had no words to express yourself? Conversely, have you ever been that happy? Sometimes a person may have a complicated compilation of feelings, built over time. Takeaway point: We all express ourselves differently. Allowing children to express themselves through music, drawing, sculpture, and other art forms allows them to communicate their thoughts and complex feelings. Through studying the arts, children explore different cultures and time periods. When they learn about the lives of individual artists and composers, they build a mental picture of that era from history. They learn about how an artist’s circumstances impacted his art. This increased understanding of the world builds stronger skills of understanding, sympathy, and empathy, leading to a greater ability to accept people for who they are. Takeaway point: By allowing our children to study the arts, we are allowing them to strengthen their social skills. In art, there is no one right answer. The ways we can combine musical notes to create a song is limitless. The color combinations for a painting are only limited by our own imaginations. If you can think it, you can express it. Vincent van Gogh created paintings, using the most unrealistic colors imaginable. Monet used natural light in his outdoor paintings when everyone else painted indoors. Beethoven broke away from many of the rules of music, leading to the Romantic Period and paving the way for artists such as Franz List. Arnold Schoenberg threw tonality out the window completely. Takeaway point: The arts teach our kids to be flexible thinkers. This skill is important not only for learning, but also for building strong business and social skills. In art, there is always something new to be learned. One can never be finished learning all there is to know. When a child studies the arts, he realizes this simple truth. As homeschoolers our goal is to raise lifelong learners. When our children study art, they develop the understanding that learning never ends. Takeaway point: Realizing we can’t know everything keeps us teachable, a skill needed for all aspects of our personal and business lives. The arts are important in developing a well-rounded person. It provides children with skills they will use for the rest of their lives. What other benefits can you think of? Share them in the comments. Do you find yourself worrying about whether or not your child is keeping up with other kids his age? I know what it’s like to worry about this sort of thing. 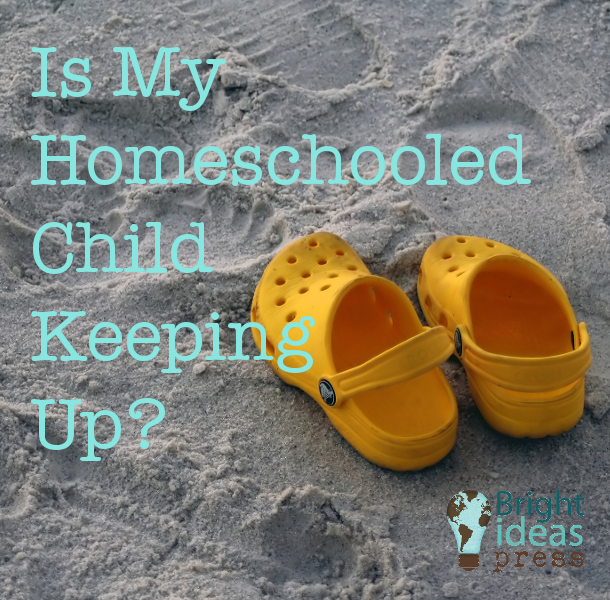 In our early days of homeschooling, I worried about it constantly. I would even go to the county public school website to see what my child should be learning at his or her grade level. Fifteen years into this homeschool gig, I shake my head at how needless my old concerns were. There are so many fabulous benefits to homeschooling, but one of the greatest is our ability to individualize our children’s education. If one child is slower at learning to read, it’s okay. If another doesn’t grasp math easily, that’s okay, too. Perhaps a child is excelling in reading, science, or math. Each child learns at his own pace. Just as they walk, talk, and feed themselves on their own schedule, children learn on their own schedule. Your child is exactly where your child should be. One thing I’ve discovered is that each child may be on various grade levels. Perhaps a nine year old is reading on a fourth grade level, doing fifth grade math, and studying sixth grade science. Or maybe a fifth grade child struggles to do third grade math, but can read on a ninth grade level. And all of this is perfectly fine. The key to helping our children doesn’t lie in comparing him to other homeschoolers or the public school system’s set of standards. The key lies in knowing our own children and working with them each step of the way. As a homeschooling parent, you’ll find that you will know your child better than you ever thought you would. The bond you’ll have will be amazing. Because you are so bonded, you’ll notice when they’re struggling or excelling in a subject. You’ll be attuned to the little things. You’ll be able to adjust the curriculum as you go. Sometimes you may find you change the curriculum yearly. Sometimes you may need to change it mid-year. Don’t be afraid to change things up as you go. If, for instance, you find your fifth grader struggles with fifth grade math, look for something else. Would he learn better with living math? Maybe he didn’t quite master fourth grade math. Go back and review that. Find out where his strengths and weaknesses lie, then go from there. It’s not a competition. No one needs to keep up with anyone. Homeschooling means freedom. Your child is free to learn in an environment and at a pace suitable to him. And you are free to provide that to him. The reasons for a child being away from home vary. Perhaps there is a split custody issue. Perhaps a child or parent is in the hospital. In my case, the reason is a mood disorder. I have one child who regularly finds herself feeling irritated with everything and everyone. She just needs to get away. It is at these times that she goes to visit her sister for a week to four weeks. During these times, we must be creative in our homeschooling because even if your child is away from home, the learning must continue. Use technology to keep in touch with your homeschooling child. Skype, Google Hangouts or Facetime are great ways to keep in touch with your absent child. Here are some suggestions. Do what works for your family. Start the school day with a call to go over what is expected for the day. Be available for your child to call if she’s having a challenge. Make a 10 minute call at the end of each lesson to touch base emotionally. Encouragement and parental interest go a long way to motivate a child. Finish the school day with a call. How did the day go? Were there any stumblings blocks? Did she finish the assignments or does she need more time? Make sure your child has everything needed to complete lessons. When she leaves home, send her with notebooks, paper, pens, markers, books and whatever else she will need while away. If you’re nearby, send one week worth of materials and assignments. Each week, restock or switch out materials for the next week. Give your child a student lesson planner. I can’t stress the importance of this one enough. Be sure the child is learning and using time management skills. This starts with a good homeschool planner. Making sure your child has the right tools for managing her time and lessons is important. Whether you can visit weekly or not, this planner is going to be the lifeblood for smooth school days. Go over lesson plans with the child at the beginning of the week (again, video calls work if you can’t be present) and go over it with her each day. In this way, you’ll know where she is in the schedule, what’s left to be done, and if she’s cluttering her mind with a cluttered planner. This is where you help streamline her thoughts. The good news is that regardless of the specific situation, homeschooling can be continued in spite of a separation between parent and child. Yesterday a colleague asked me what types of calls I get in my homeschool consulting business. I didn’t even have to think about the answer. Nearly every call is from a parent in her first 18 months of homeschooling who is feeling completely overwhelmed and whose children are resisting school time. 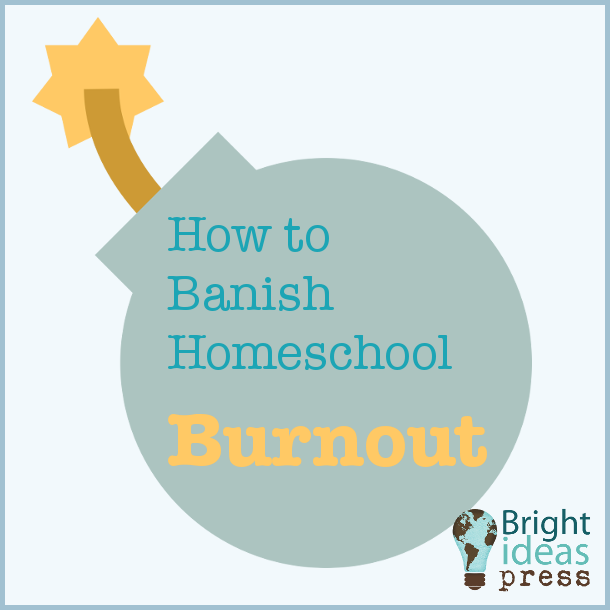 What causes this type of homeschool burnout? The parent is trying to do school at home, turning her homeschool into a home-version of the public school classroom. Lesson times are too long for the child’s attention span. There is a strong focus on the getting the assigned lessons of the day complete, no matter what. There are not enough brain breaks for the child. How can you prevent or change this type of situation? If you’ve found yourself in this situation, let me assure you that you’re not alone. The fact that 95% of my consultations are variations on this situation is a good indication of how common it is. I’ve done it myself. It happens. I have a few tips to help you avoid or remedy this problem. School at home doesn’t usually work. Trying to emulate the public school system is usually self-defeating. First of all, I will assume you wanted more than that for your children which is why you chose to homeschool, right? It is one thing to be in an institution, behaving in ways the institution wants us to. It is an entirely different thing for mom to turn home into an institution. It has been my experience and observation that kids do not respond well to this method. Try something more relaxed. Look into styles of homeschooling such as relaxed, unschooling, Charlotte Mason, Thomas Jefferson, Waldorf, or Montessori. The common feature of all homeschooling methods is that they are not school. They’ve been developed because parents and educators have a desire to teach a child within the child’s abilities, nature, and skills. Shorter lesson times work better for children. Children do not have the developed attention span of adults. Typically an elementary age child can spend 10-20 minutes on a task (30 minutes for middle ages and 45 for high school ages) before losing focus, for instance. Pushing a six-year-old child to spend an hour on a subject is asking him to push himself to four times his mental abilities. Let’s relate this to our days. Most adults work 8 hours per day. What if your boss suddenly assigned you 32-hour shifts? Could you do it? Or would you be exhausted, bitter, and irritable? Would you refuse to do it? Would you look forward to doing it? I understand that different methods may call for a certain amount of time on subjects. For instance, Classical Conversations may ask that a child spend an hour per day on math. That’s fine. But what if the child divided that hour into 15 minute increments. So after a quarter hour on math, she has 15 minutes of arts and crafts. Then that is followed by 15 minutes of reading and then 15 minutes of play time. Then bring the child back to finish the rest of the math. Do you think the child would perform a little better then? Find out what works for your child. Individualize his education according to his abilities. This one adjustment can make a world of difference. Let the schedule be your guide not your master. Schedules are an excellent tool. They give us a sense of order. While some things, like doctor appointments, are set in stone, other things may not be. For instance, I can serve dinner at 6:00 p.m. even if I wrote it in for 6:30 p.m. on the schedule, right? Homeschool works much the same way. Yes, you want consistency and routine, but does everything need to be precisely as scheduled? Probably not. Maybe a child is not focusing well on his 10 o’clock math lesson. We cannot control the child’s focus, but we can find something to wake his mind up. Switch tasks. Let him do what he is capable of doing at that moment. (Perhaps a salt dough map for geography is interesting.) Math can be done when he’s more focused. The wonderful thing about a day is that it has 24 hours. 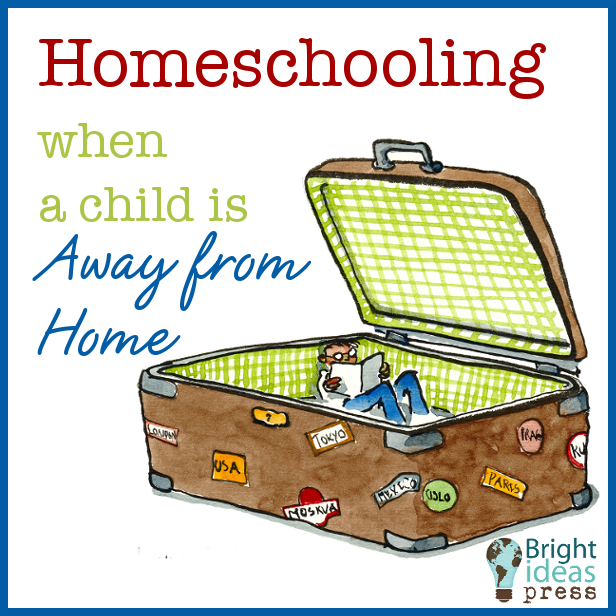 Homeschooling usually takes only a few hours of the day. It can be broken up into a more relaxed routine when necessary. The point is to let the schedule be a guide. Don’t let it rule and ruin your day. Give your child regular breaks. You know your child better than anyone. You can give him breaks when you see his mind is growing weary. There is nothing wrong with letting a child break for 15 minutes to get some energy out, grab a snack, or sculpt with play dough. Whatever keeps your child motivated and focused, do it. Use positive statements when talking to children about these breaks. Express confidence in their abilities and be specific about what is happening.